Our annual Spring Beer Dinner inside the brewery is the culmination of Bellingham Beer Week every year. in 2019 it will take place at 5:30 pm on Sunday, April 28 at 601 W Holly St, Bellingham. 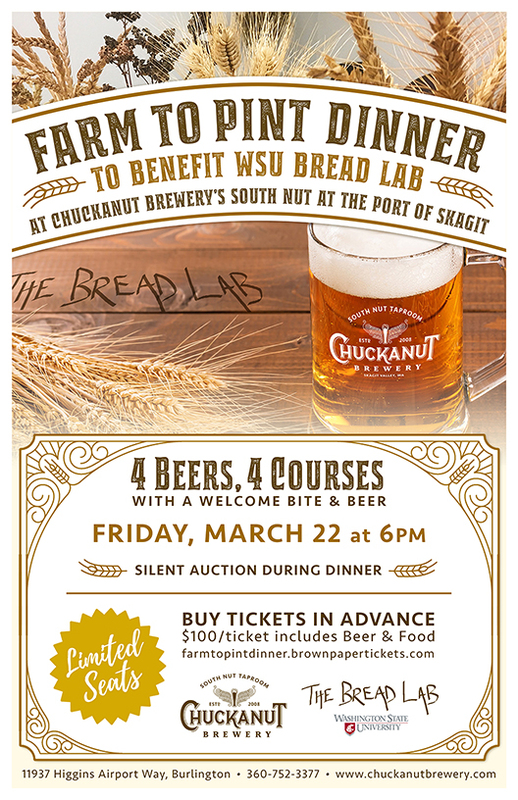 Once again our chef has paired a five course meal with 5 amazing Chuckanut Beers. The dinner opens with a spring egg (pickeled quail egg in a nest of shredded veggies) paired with our delicious Mexican Style Lager. The second course pairing includes Dortmunder with wild mushroom croquettes. Creme d'Asparagus Soup paired with Schwarzbier will proceed the main entree of Chicken Cordon Bleu with Kolsch Beurre Blanc and the Maibock 2019. The dessert course will include a Strawberry Pots de Creme and our New World German Hop Ale. Brewmaster Will Kemper will talk about the beers while chef Jabez will comment on his food creations. You can purchase tickets at chuckabutbeerdinner.brownpapertickets.com or by calling North Nut at 360-752-3377option 1. Ticket sales close on Friday April 26 at 5 pm. Bellingham Beer Week is April 19-28 this year and Chuckanut is celebrating. Wear any local brewery t-shirt on Sunday, April 21 and get a $4 pint! Earth Day, April 22 is our book talk with Brandon Fralic and Rachel Wood talking about "Beer Hiking in the Pacific NW". They will also have their book for sell and sign them on request. The talk starts at 7 pm in our back covered patio. Tuesday is Chuckanut Night at Best Buds in Fairhaven, join representatives of Chuckanut to ask your questions and try our beer. On Wednesday, April 24 at 7 pm join us for the kick off of Classical on Tap with the Whatcom Symphony. This free, fun musical evening led by the symphony director provides music and education. Get ready for our first Chuckanut Ping Pong tournament 6 pm on Thursday April 25. Sign up early or show up and see if you can get a slot in this crazy new event for Beer Week. To sign up send an email to spencer@chuckanutbrewery.com. 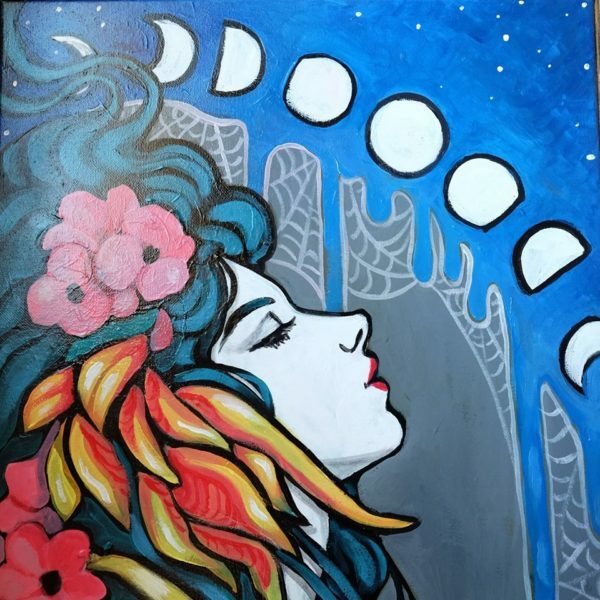 This is another free event for Beer Week. 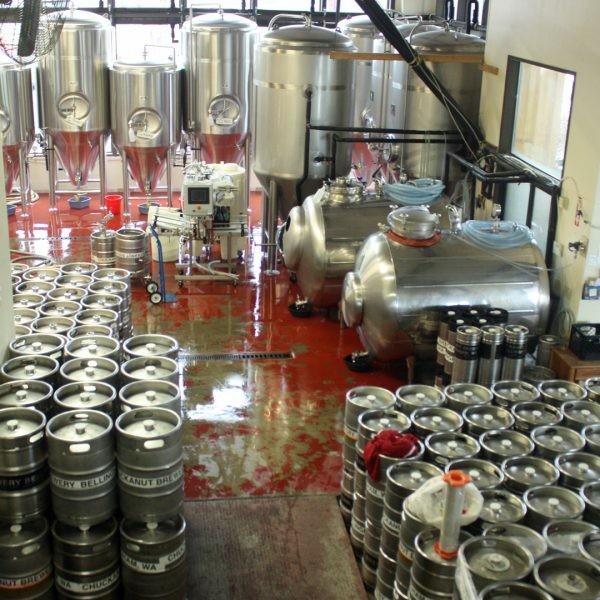 Get your Party Kegs at both location too! If you never had our Matzo Ball Soup come in a try it. This specialty is only available every April and once you try it you'll wait all year to have it again. A clear chicken consomme with a delicious dumpling made from matzo crackers that you will love. This month also features some irresistible chef's specials. Of course the Spring Beer Dinner is always a fun, delicious time inside the brewery where our chef's magic shines. Get your tickets before they run out! It's Maibock time, the last of the big beer series makes its release near the end of April for Beer Week. A delicious full bodied, blonde lager aged over 3 months in our fermentation tanks for a smooth delightful higher alcohol beer. 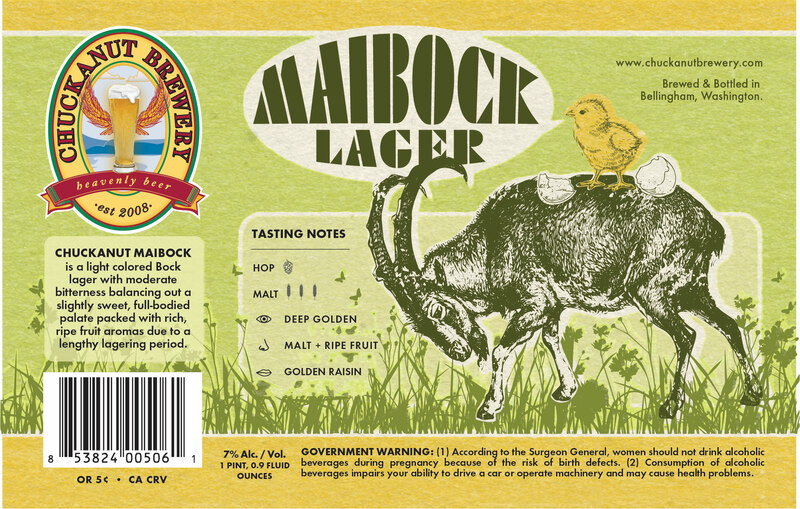 Maibock will be on tap and in bottles so make sure to grab some. The new Single Hop Lager uses Vic Secret from Australia. Second in the series this lager will be released at the end of the month or early May. And we also have a new batch of New World Hop Ale that uses new varietal German Hops for aroma and bitterness. It's our spring seasonal Ale!